Intense red color with bright yellow accents. 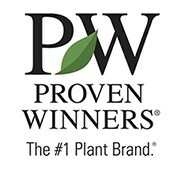 Mounding trailing habit makes it perfect for hanging baskets, planters and the landscape. 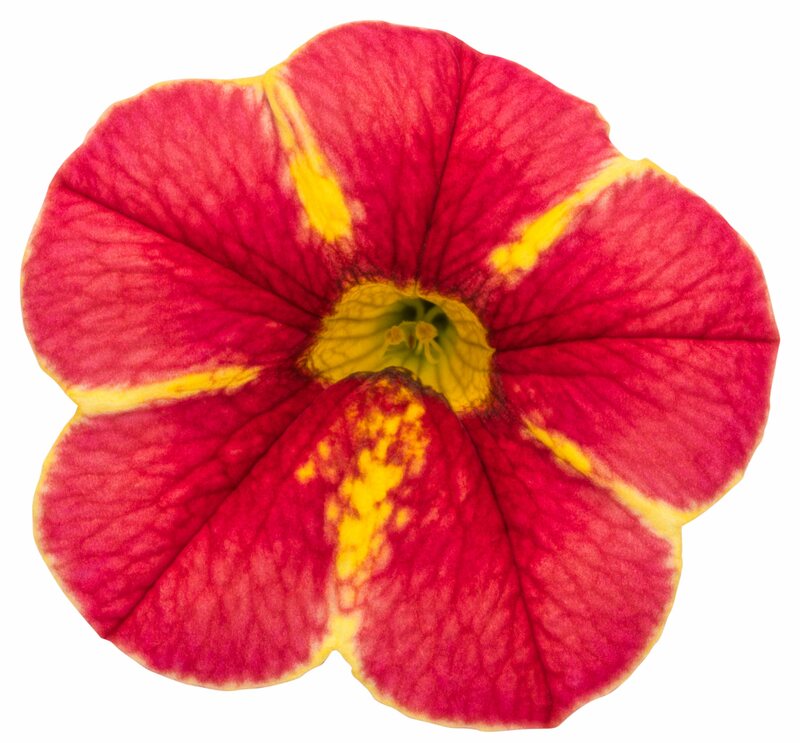 Prefers to be planted in full sun and have well drained soil. 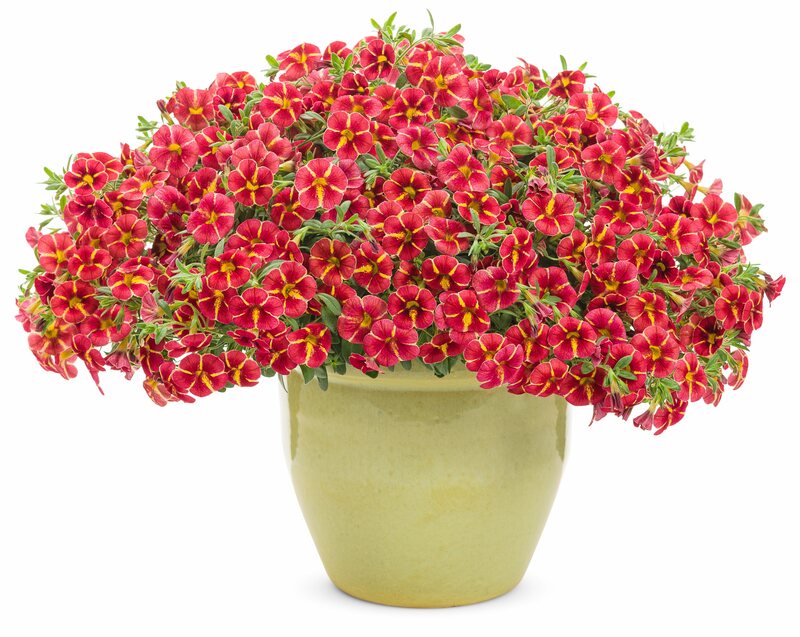 Calibrachoa can be fantastic in-ground plants, but only if they are planted in well drained soil. Raised beds would be a good choice for planting Calibrachoa in the landscape. In the ground they shouldn't need much additional water unless conditions are very dry. 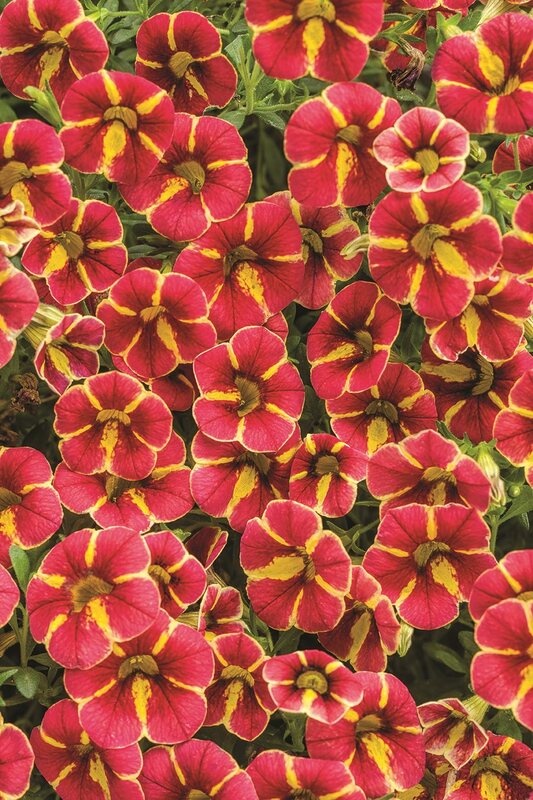 Proper watering is key to growing good Calibrachoa.